Indesign is industry standard instrument for lay out any book and all features of this software helps to designer make it faster and on professional manner. Lay out book in Indesign is relatively simple process if you have basic understanding what you doing. This instructions definitely can help you do it more easily – just need to follow. First step for any beginner designer is layout simple text-only book without images. In most cases structure of book is following to existing print standards. You need just review already printed books to see what the standard is. Standard clearly define where located book title on first interior page, placement of copyright and ISBN, table of contents, introduction, preface etc. 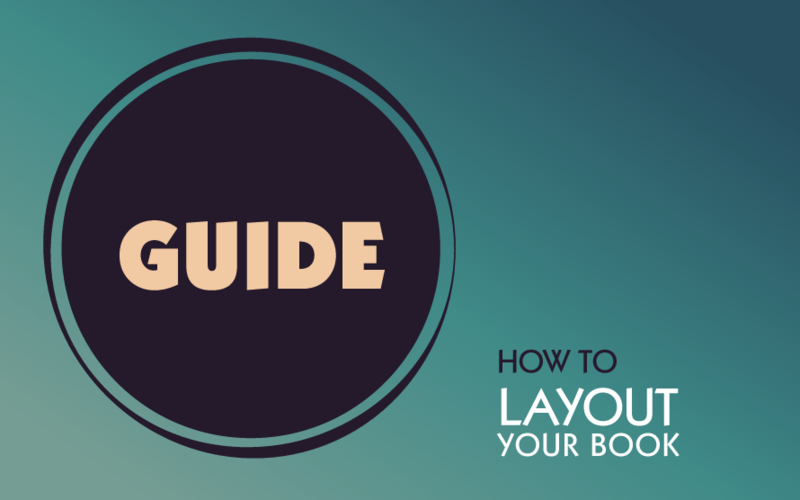 Accordingly to this you need to plan your book layout. Goto Indesign menu and select “File > New Document”. Now you need to set up all initial parameters for new book such as “Page size”, “Page orientation”, “Margins” and so on. If you have “document preset” for book on this stage you will able to choose it. Set up top, outside and bottom margins for 6″x 9″ sized books equal to 0.5 inches and a 0.75 inches for inside margins. Same margins is suitable for books with smaller size. The larger the size of the inner borders is needed to take into account the thickness of the book’s spine which will take some of this paper. For books with size equal 8.5″x11″ please use 1-inch margins. Press button with “chain” icon to enable ability to set margins independently. Parameter “Facing Pages” usually must be enabled. Right click on rulers allows you to switch units to inches, millimeters and so on. Typical book page must have 65-70 characters per line (including spaces) and one column for easy reading. Before inserting text of book into Indesign document you need to check it for a proper formatting settings. It include excessive formatting and unnecessary special characters such as sudden line breaks, double/triple spaces, formulas and ugly text formatting. Guide lines can help you to quickly align book objects such as text blocks, images and additional elements and visually control this process. One of easiest method to make guides is just drag & drop it from rulers areas. 1. set check box “main text frame” to enable. It is located on settings window when you create new Indesign document via menu “File > New Document” described in Step 2 above. 2. use Type tool on the left panel and create text boxes as many as you need. Pay attention that they need to be located within your margins. Note: all text frames or other objects created on “master pages” will be applied to whole document as common template. To remove “master” objects from page you need to ctrl+shift+click on it and hit “Del” button. At this point, you need to link two text frames located on near pages so that the text can flow from one frame to another. To do this just click on small square icon on the lower-right corner of text frame. Your cursor will change to a text flow icon and then you need to click on border of text frame of second page (usually it is right-hand page). During this linking process you can notice link cursor icon looking like a chain. After that if you copy/paste big text block into first text frame it flows automatically into next text box. You can insert page numbers manually on each page but it is not effective especially for books with huge amount of pages. Adobe Indesign allows to automate this page numbering process. To do this you need go to master page usually called as “Master A” page. Use Type tool to create text box in place where you want to see page number and select menu item “Text > Insert special characters > Markers > Current page numbers”. Letter “A” must appear in this text box. Do this operation for left and right book pages. By this simple method you can apply page numbers to all your current pages as well as to future pages which can be added later. Before main body pages with text of book you need to add and fill special pages which contain service and additional information. Note: Some of this standard elements can be missing. Use Type tool with Character and Paragraph panels to make text comfortable for readers. Font size for book usually equal 10-12 pt and 13-14 pt for headers. Apply formatting to text for receive visible hierarchy and readability. After finishing the book you can export it into printable pdf file or e-book via menu “File > Export”. If you wish to make a book or order other graphic design, we can help.